We’re looking at the four full-season staffs, guessing the roles, and talk about the changes of the staffs from the end of last year til now. Next up: Potomac. See here for Syracuse 2017 review, here for Harrisburg 2017 review. ((h/t as always to Mr. Erickson for the link to insidenova.com with the planned rotation, which I’ll use to correct my predictions below). Rotation discussion: In Potomac we start to see the log-jam of starters from recent drafts. I count 6 guys who could be starting and another 3 guys who have mostly started in the past. As it turns out, a couple of the long-time lefty starters from the 2015 draft have been pushed into bullpen roles, perhaps for the longer term. The burgeoning investment the team is making in the D.R. is evident here; all 5 rotation members are from the island, along with a huge chunk of the roster. Of the starters listed above, i’d say that Luis Reyes and Jefry Rodriguez are probably on the thinnest of ice to stay in that role, given last year’s results. Reyes had a 5.60 ERA in half a season in Potomac last year and Rodriguez had a 4.96 ERA in a full season starting in Low-A. Wirkin Estevez feels like he’s been around forever; this is his 7th pro season in the system yet is only in High-A; he had a couple spot starts last year and I’m kind of surprised he made the rotation over especially Matthew Crownover and Taylor Guilbeau. I could also see Grant Borne move into the rotation if one of the stated starters fail; Borne had a nifty 3.34 season in long relief in Low-A, pitching an average of 3 innings a stint, so perhaps he’s in line for getting stretched out. I guess the old adage “you can never have too much pitching” holds true for Potomac; its nice to have 9 different guys who you know could give you a start. The preponderance of guys used to going longer stints leaves just a handful of known “relievers” in the pen. R.C. Orlan was Potomac’s effective closer last year and returns to that role, while Hagerstown’s closer Mariano Rivera Jr. rises up to form a nice 8th-9th inning lefty-righty combo. Amazingly Ronald Pena returns for this 6th pro season, and returns to Potomac where he started half a season in 2014. No offense to Pena, but I remain surprised that he’s lasted this long with the org. The last non D/L name is a 2017 MLFA by the name of Kyle Schepel who I had completely forgotten about until I looked him up. Kylin Turnbull, who has not thrown a pitch in anger since 2014, remains on the D/L in Potomac along with Tommy Peterson, who had an excellent 2016 season in relief and could be a good reliever if he is healthy. The guys who are listed as “missing” include three guys who all finished the 2016 season in High-A and seem like they’re intended to start there again. Who am I focusing on: I want to see what Joan Baez has; we know he can bring the heat but can he be an effective starter? I’ve always liked the trio of lefty veteran college starters we picked in the 2015 draft early rounds; Hearn (since traded), Crownover, Borne and Guilbeau (picked in the 5th, 6th, 7th and 10th rounds respectively), so I look forward to them all moving up a level in 2017. I want to see what the two closer-quality relievers (Orlan and Rivera) can do. The next (and last) in a series: previously we reviewed the 2015 season stats for the 2015 draft class, 2014 draft class, 2013 draft class and the 2012 draft class. 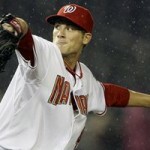 Baseball-reference.com’s draft database for the Nats 2011 class. TheBaseballCube.com for really obscure stats for players. Note: in previous posts we’ve used trending up, steady and down for prospect growth analysis. For me, if a guy has debuted in the majors then he’s automatically a “success” in terms of prospect development and is an automatic “trending up” green. We’ll add in “matriculated” as a category. However, doing this analysis I’m finding myself listing guys as “trending down” even if they’ve advanced well in the system but have seemingly peaked and/or failed to reach their potential. I’ll list them as “peaked” instead of trending down as a result. Might be unfair, but when looking at guys who in some cases are entering their 6th pro season I think it is fair to pass some final judgement on their careers at this point. 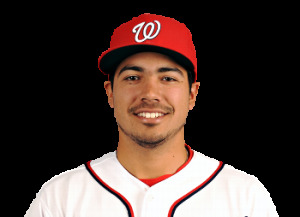 Round 1: (#6 overall) Anthony Rendon, 3B Coll Jr from Rice: slashed just .264/.344/.363in an injury plagued 2015 season after posting a 6.6 bWAR season in 2014. While clearly he remains an injury risk, the potential he shows remains as one of the top players in the league. Hopefully 2016 will see him returned to his natural position at third base, his natural batting position as 2nd in the lineup, and a return to form generally. From a prospect development perspective, he’s more than reached his goal and you have to think that some of the teams that passed on him on draft day wish they had a do over. Matriculated to Majors. Round 1 (#23 overall): Alex Meyer, RHP Coll Jr from Kentucky: traded straight up for Denard Span in Nov 2012. Since, the Twins have brought him along slowly, having him repeat AAA and as of the end of 2015 he has just 2 2/3rds major league innings. What happened? Perhaps he’s finally getting banished to the bullpen like most development types thought always would happen. Matriculated to Majors. Round 1-S (#34): Brian Goodwin, OF Juco from Miami Dade CC South: slashed .226/.290/.340 for Harrisburg in 2015, which represented a demotion from his 2014 assignment in AAA. He’s on the 40-man roster (having been placed there to protect him against Rule-5), but may not be there for long. Goodwin skipped High-A during that period when the Nats ownership was penalizing Potomac owners for the state of their field, and you have to wonder if it hurt his development. He’s playing winter ball this off-season, perhaps in hopes of putting his name back in the mix in this organization. Peaked at AA/AAA. Round 2: Pick given to Philadelphia as compensation for Jayson Werth signing. The Phillies used the pick to take a HS SS out of Florida named Roman Quinn. He’s progressed nicely, slashing .306/.356/.435 this year in AA as a 22-yr old, albeit in limited action for the 4th successive year (injuries?). Its impossible to know what the Nats would have done here, had they still owned the pick, but drafting a prep SS seems unlikely. Then again, if they had this pick they might not have gone with the youngster Goodwin in the 1-S round. Who knows. Werth has totaled 9.2 bWAR in his 5 seasons here, which includes his -1.6 bWAR 2015 season dragging his totals down and nearly his whole 2nd season lost to injury. A good “trade” in terms of the player versus the draft pick for sure. Was it a good contract? Roughly 10 WAR for his $18M*5 =$90M, so about $9M/war. Not so good. We’re still not even to estimates above $7M/WAR and this contract was signed 5 years ago. An argument for another time. Round 3: Matthew Purke, LHP draft eligible sophomore from TCU: 3-6, 4.36 ERA with 43/17 K/BB across 64 IP (20 apps, 15 starts). 3.51/3.76 FIP in High-A/AA stints. White a whirlwind season for Purke; he was released in Nov 2014 and I thought the team had cut ties. A few days later, they signed him as MLFA in a clearly pre-arranged deal to get him off the 40-man (he was one of the last of a now-banned practice; 40-man draft day deals). He jumped two levels in 2015 (from LowA through HighA to AA), ending the year as Harrisburg’s spot-starter/swing man and struggling there for the 2nd year in a row (6.35 ERA) … but perhaps not as bad as we think by virtue of the huge delta between his ERA and his FIP. More concerning is his K rate; he just doesn’t mow ’em down like he used to. What’s his projection at this point? Loogy? Long-man? I don’t know. I’m not confident that he’ll ever pan out though, so I’ll say generally Peaked at AA, since it wouldn’t surprise me at all to see him getting lit up again in AA next year and just getting released. Round 4: Kylin Turnbull, LHP juco from Santa Barbara CC: zero IP in 2015; on the Potomac D/L the entire year. Had a relatively middling 2014 in High-A (3-3, 4.41 ERA) then never got out of the gate for 2015. He was not well heralded at the time of the draft and hasn’t really done much to impress in parts of four minor league seasons (career numbers: 15-17 with 4.53 ERA). It wouldn’t surprise me to see him get cut at the end of 2016 spring training if he can’t make the Potomac bullpen. Peaked at High-A. Round 5: Matt Skole, 3B Coll Jr. from Georgia Tech: slashed .234/.340/.417 between AA and AAA this year, 127/82 K/BB in 465 ABs. 20 homers. Skole is now two full seasons removed from the awful 2013 injury that has more or less derailed his career. Remember; it wasn’t that long ago that Skole was the Nats minor league player of the year (2012) and when he was routinely listed as the 3rd or 4th best prospect in the system. Now he’s 26 in AAA, two years passed over in Rule 5 drafting and seemingly set to reach his 6-year MLFA barrier without really pressing for a MLB roster spot. Can you see the Nats calling him up in 2016? He’s limited to 3B on a team that (as it stands) has at least three or four of them on the MLB roster. I think he may have reached his peak unless he blows up Syracuse early next year. Peaked at AAA. Round 6: Taylor Hill, RHP Coll Sr from Vanderbilt. 3-10 with a 5.23 ERA for Syracuse, 70/29 K/BB in 118 IP. 3.85 FIP. Also gave the Nats 12 IP across 6 appearances in early June when they had a bullpen crunch. His FIP shows that his ERA for Syracuse was misleading. I think we know what we have in Hill at this point; softer tossing 4-A guy who can throw innings and serve as a decent utility/spare part arm for the team. If you put all our SPs into one big depth chart, i’d probably put Hill somewhere around 10th in pecking order, meaning the odds of him really getting a shot at starting in the majors seems pretty slim. I think he likely sticks in his existing insurance role for at least one or two more seasons before he faces arbitration, where he’ll likely get DFA’d and see his career end. That’s no judgement on his career; as a senior sign for limited money, the fact that he made it out of short-season ball was a success, let alone getting 40-man placement and MLB innings. A great job of drafting and development. Matriculated to Majors. Round 7: Brian Dupra, RHP Coll Sr from Notre Dame: 3-2, 3.61 ERA between AA and High-A, 43/20 in 52 relief IP. Dupra started in AA, got bounced around and demoted to Potomac in Mid-June where he stayed the rest of the season as a long-man. To me, a look at his career shows a guy who can’t compete outside of A-Ball and who is set to be 27 next spring without any success at AA or higher. I can’t see how he’s long for the organization with the number of college arms drafted recently. Look for a spring release. Still an impressive career for a guy in the same boat as Hill; senior sign, limited bonus money, little expectations. Peaked at High-A. Round 8: Gregory Holt, RHP Coll Sr from UNC: Released 3/20/14 somewhat surprisingly after a decent season in Potomac. Round 9: Dixon Anderson, RHP Coll Jr. from UC-Berkeley: Retired 5/14/14 after failing to get promoted and repeating Low-A for the third year. Round 10: Manny Rodriguez, RHP Coll Sr. from Barry (FL): He was 1-3 with a 6.43 ERA for Potomac this year and was released 9/28/15 at season’s end. It is probably safe to say that the team feels like Rodriguez’ role is easily filled by a younger draftee from more recent classes. Round 11: Caleb Ramsey, OF Coll Sr from U of Houston: slashed .287/.354/.343 with 77/45 K/BB in 429 ABs between AA and AAA. 2 homers, 13Sbs. Ramsey has quietly climbed the ladder for this team for years, but now reaches a cross roads; he doesn’t hit for enough power to justify his corner outfield spot and the Nats really don’t have any room for him in their MLB outfield. I can’t see him making a 40-man roster and is clearly AAA org guy material at this point. Look for him to play out the string in 2016 and get let go as a 6-year MLFA. Peaked at AAA. Round 12: Blake Monar, LHP Coll Jr from Indiana: released 3/20/13 somewhat surprisingly after a decent Short-A season. 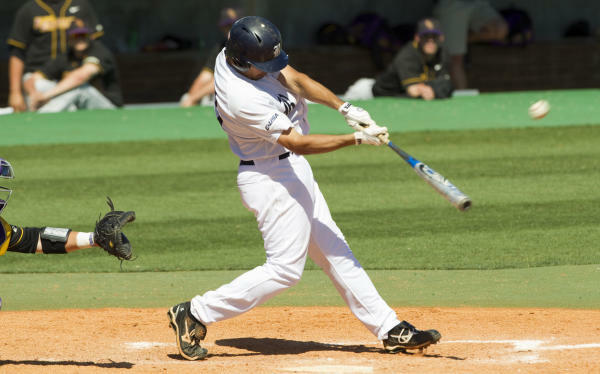 Round 14: Cody Stubbs: LF Juco from Walters State CC (TN): did not sign, transferred to UNC and was drafted in the 8th round of 2013 by Kansas City. Hit .283 this year in HighA. Round 15: Zachary Houchins, SS Juco from Louisberg College (NC): did not sign, transferred to ECU, drafted in the 13th round of 2014 by Los Angeles Angels. hit .253 in LowA this year. Round 16: Deion Williams, SS from Redan HS (GA): 1-2, 5.46 ERA with 22/18 K/BB in 29.2 relief innings with Hagerstown. Williams was drafted as a SS but converted to the mound after a year or so. Since then, he’s struggled, somehow making it onto the full-season Hagerstown roster in June after sitting in XST for two months. There, he continued not to impress; his career ERA is now 6.12 across 103IP and the three lower levels of the minors. Hard to see how he’s even still on a roster at this point. Trending Down. Round 18: Nick Lee, LHP Juco from Weatherford (TX): 3-1 with a 3.12 ERA between HighA and AA, 57/33 K/BB in 52 IP across 40 games. Lee tried to make it as a starter for a while, but now is having good success as a bullpen guy. He’s got a good BAA, but too many walks right now. But he’s holding on strong and could make a push up the system ala Matt Grace in 2016. The Nats see this as well and sent Lee to the Arizona Fall League this year. Trending Up. Round 19: Hawtin Buchannan, RHP from Biloxi (Miss.) HS; did not sign, honored commitment to Ole Mis/Mississippi. Drafted in the 20th round in 2014 by Seattle and put up a 4.14 ERA in low-A in 2015. 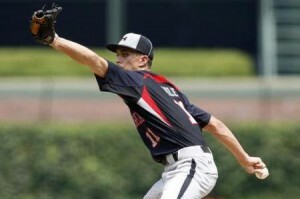 Round 20: Josh Laxer, RHP from Madison (Miss.) Central HS: did not sign, also honored commitment to Ole Mis/Mississippi. Boy the guys at Ole Miss would have been mad at Mike Rizzo from this draft had things gone differently. Laxer pitched well in Short-A in 2014 but missed all of 2015 with an injury. Round 21: Todd Simko, LHP Coll Jr. from Texas A&M-Corpus Christi: retired 7/12/13 after not making the Hagerstown squad and struggling in Short-A. 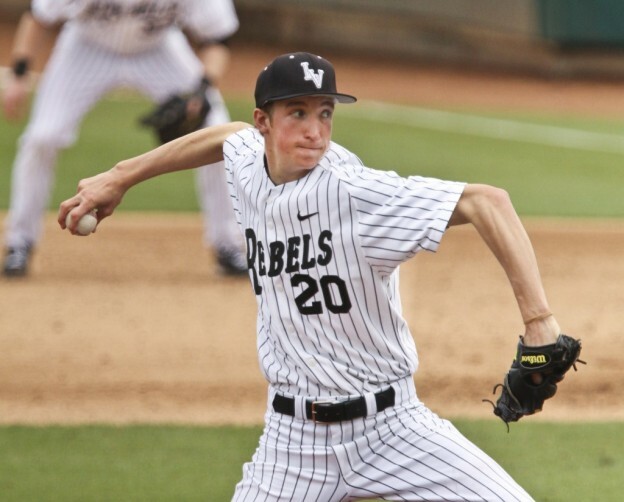 Round 22: Travis Henke RHP Coll Sr from Arkansas-Little Rock: released on 1/6/14 after putting up a 5.79 season pitching out of Potomac’s bullpen all 2013. Round 23: Khayyan Norfork 2B Coll Sr from Tennessee: slashed .276/.336/.364 in a full season in Potomac, with 2 homers, 10 SBs and a 60/27 K/BB ratio in 341 ABs. Ended the year with a roster-filling callup to AA. Norfork’s third straight year in High-A, each time showing the same skill set; some speed, little power, decent bat but OPS figures in the .680-.700 range. He may stick around for another season to reach MLFA but i’m not sure in what role; perhaps as AA utility guy. Peaked at High-A/AA. Round 25: Erick Fernandez C Coll Sr from Georgetown: stuck around in an extreme backup mode (19 total games across three seasons), then released on 7/23/13 when the Short-A squads started to fill up after the 2013 draft. Signed as a MLFA with Pittsburgh in the 2014 off-season but couldn’t make a squad. Cut loose at the end of 2014’s spring training and out of baseball. Round 26: Shawn Pleffner OF Coll Jr from Univ. of Tampa: slashed .269/.342/.355 with 66/41 K/BB in 394 ABs with Harrisburg. 3 homers. Another guy with local ties (born in DC), Pleffner has hung around by virtue of his decent bat (career .294 hitter) even despite the power (just 12 career homers at 1B). Will he move up the chain one more year? Clearly he’s blocked at the MLB level, and (honestly) 1B spots in AAA may be filled with the kind of spare part slugger that the Nats may be seeking as a bench option to replace Tyler Moore, so Pleffner may lose out on a roster spot by getting squeezed from both sides. Peaked at AA. 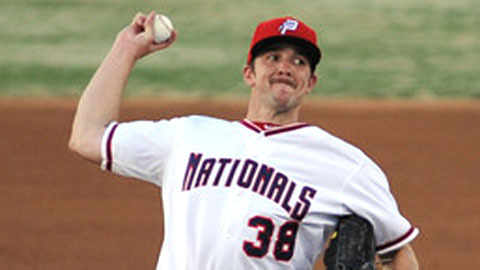 Round 27: Bobby Lucas LHP Coll Sr. from George Washington: released sometime in 2013 after struggling in LowA in 2012. The third straight pick with local ties was always a longshot being a senior sign from a small baseball program. Round 28: Kenneth Ferrer RHP Coll Sr. from Elon University: got hammered in 7 GCL innings after getting drafted and was either released or retired prior to the 2012 season. Round 29: Sean Cotten C Coll Sr. Tusculum College: did not sign, or if he did he never appeared or played. Odd. He had a nice senior season in school and was a college senior; maybe he just decided to hang ’em up before even trying. Round 30: Bryan Harper LHP Coll Jr from South Carolina:2-2, 2.96 ERA 34/19 K/BB over 45 relief innings between AA and AAA. The “make the super star happy by drafting his brother” pick has turned out to be a half way decent loogy, and rightfully earned his way all the way to AAA this year. He needs to get his walks down but they’re not too bad. He’s in a position to put his name in the hat in case our cache of lefty relievers falters in 2016. Trending up. Round 31: Josh Tobias SS from Southeast Guilford HS (NC); did not sign, honored his commitment to Florida where he played four years and was drafted in the 20th round of 2015 by Philadelphia. He hit .321 in Short-A for them so perhaps he sticks around for a bit. Round 32: Billy Burns OF Coll Jr. from Mercer Univ. (GA): after 3 impressive seasons in our system, the Nats traded Burns straight up for Jerry Blevins in Dec of 2013. Burns debuted for Oakland in late 2014 and played a full season for Oakland in 2015, starting in CF and batting .294 with people talking about getting him Rookie of the Year votes down ballot. Burns for Blevins, who then turned in to den Dekker … perhaps the Nats didn’t really get value for the Burns pick, but also likely never would have realized who they had on their hands thanks to the full OF and names in front of him on the Nats OF prospect pecking order. Round 33: Trey Karlen 2B Coll Sr from Univ. of Tennessee-Martin: Karlen struggled in the GCL in 2011, never appeared in 2012 and was released on 6/17/13 when the new class of draftees showed up and there was no longer room for him on the short-season squads. Round 34: Calvin Drummond RHP Coll Jr. Univ. of San Diego (CA): did not sign, returned to U San Diego for his senior year. Looking up Drummond’s draft and collegiate history is interesting. Per his baseballcube and baseball-reference pages, Drummond was drafted no less than four times; once out of HS, once as a draft-eligible sophomore (when the Nats drafted him in 2011), then again as a junior and again as a senior. But the odd part is his history: he went to Orange Coast Juco, then transferred to San Diego where he red-shirted, pitched two decent years as a starter, then transferred again to the baseball powerhouse Arizona Christian University, where he pitched his senior year and was drafted in the 6th round by Detroit. 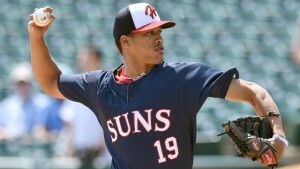 He’s had minor league success, with more than a K/inning and a career 2.84 ERA while working his way to AA this season. Would love to hear his story. Round 35: Alex Kreis RHP Coll Sr Jamestown College (ND): Struggled in the bullpen for Hagerstown in 2012 and never made it to a 2013 roster, either getting released or retired. Round 36: Ben Hawkins LHP Coll Jr from Univ. of West Florida: Made the 2013 Potomac bullpen, got shelled, went back to XST after a month and was released a month later. Round 37: Derrick Bleeker RHP Juco frm Howard College (TX): did not sign, transferred to the U of Arkansas and was drafted in the same 37th round the following year by Baltimore. He struggled for Baltimore’s low-A affiliate in 2015. Round 38: Brett Mooneyham LHP Coll Jr from Stanford Univ. (CA): did not sign, stayed at Stanford for his Senior year and then the Nats picked him in the 3rd round of 2012. Did Mooneyham really improve his draft stock from a complete afterthought in 2011 to a 3rd round pick? Round 42: David Kerian SS from Bishop Heelan HS (IA): did not sign, honored his commitment to U of Illinois. Signed by the Nats as a 9th round senior sign in 2015. Round 45: Richie Mirowski RHP Coll Sr. from Oklahoma Baptist Univ: had a fantastic 2013 in Potomac, struggled making the jump to AA in 2014 and was released on 3/19/15 when it looked like he wasn’t going to make the AA team for this year. Still, a great result for a 45th round draftee. Round 49: Hunter Cole OF from Dorman HS (SC), did not sign, honored his commitment to the U of Georgia. 26th round pick in 2014 by San Francisco. Hitting well so far in his career, finishing 2015 in AA with above an .800 OPS. Round 50: Anthony Nix OF Coll Sr from Univ. of California-Riverside: hit .215 in the GCL in 2012 and was released in Jan 2013. Well, now you know why we don’t need 50 rounds anymore. Of the original 51 total picks (three 1st rounders and a lost 2nd rounder total 51 total guys in this class), fully 21 didn’t even sign. That’s more than 40% of the draftees. So of the 29 guys who did sign, a slew remain active in the system, our 1st rounder (Rendon) has turned into a 6-win player (when healthy), we flipped two guys (Meyer, Burns) who are also MLB matriculated for other MLB players of use, and we have a couple more guys who may yet get chances (Harper, Hill, Lee). That’s not a bad return from a draft class, especially considering how many of the 20th+ rounders ended up being successful. Nats Draft History; what were the rumors on draft day historically? I thought I’d do a different take on the “history of Nats drafts.” What was the mood/feel around the team approaching draft day year after year? Who do we think they were focusing on as the big day rolled around and why? We focus mostly on the first round pick, where so many of the mock drafts focus, but we’ll also mention significant moves further down. To be honest, I didn’t really start closely following the draft and track who the Nats were “rumored” to be with until the 2008 draft. So if you remember something differently than me, please feel free to chime in. I also focus pretty heavily on the early picks here, simply because teams generally get the most value out of their 1st round picks, and the thought processes in taking the first round pick often is the focus of draft analysis and mock drafts posted head of each actual draft. The Draft Tracker xls (created by Brian Oliver, now maintained by SpringFieldFan) is vital for any Nats fan interested in tracking the teams’ drafting history. 2005: Nats picked 4th overall and did not have a 2nd or 3rd round picks (the 2nd round pick went to Colorado for the Vinny Castilla FA signing and the 3rd round pick went to Minnesota as compesation for the Cristian Guzman signing)). The team was also under MLB control and was (presumably) given quite strict financial guidelines over signings. Given those considerations, they knew they needed a splash with their #1 overall pick, they needed someone affordable and they needed someone that would speak to their new fan-base. They wanted college draftees, quick to the majors. The team was looking at the three top 3rd Basemen in the draft. Ryan Zimmerman, Ryan Braun and Alex Gordon. All three were playing at good schools with good numbers. 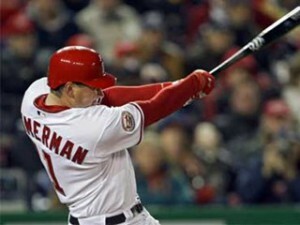 Gordon went 2nd overall to Kansas City and the Nats snapped up Zimmerman. Zimmerman signed quickly for an acceptable amount ($2.9M as the 4th overall pick) and was playing in the majors by September. Zimmerman’s selection made sense geographically (he grew up in Va Beach and attended UVA) and it made sense considering the talent available at the Nats pick. MASN’s David Huzzard printed a retrospective of the 2005 draft ahead of 2014’s draft. 2006: Thanks to a couple of FA losses (Hector Carrasco and Esteban Loiaza), the team had two extra picks in the first two rounds. The team had a roller coaster 2005; first place at mid-season and then a collapse as MLB refused to allow reinforcements. By draft-day 2006 the team was firmly under the control of Jim Bowden, and his philosophy had always skewed towards “toolsy” players, potential over actual. But the team didn’t have an owner yet, so were still operating under MLB’s guidelines. These two facts were quite evident by looking at the haul the Nats had with their early picks. 6 picks in the top 4 rounds and they were all high school players. Chris Marrero, Colten Willems, Stephen Englund, Sean Black, Stephen King and Glenn Gibson. The team got Marrero for a relatively cheap $1.6M deal mid-way through the first round, failed to sign Black altogether, and got 5 of these 6 players to sign for around $5M all told. The team on the field was under-performing thanks to a limited MLB-dictated budget, but Bowden was drafting for the longer run. Unfortunately none of these high school players ever amounted to much of anything, with only Marrero ever reaching the majors and Willems retiring before ever advancing out of A-Ball. 2007: The team had another haul of upper-end draft picks, thanks to their acquisition of Alfonso Soriano and his type-A free agency sending them both an extra first rounder and a supplimental first rounder. The team took lefty Ross Detwiler from small school Missouri State with the 6th overall pick, a selection that has been lampooned based on who else was available at the time (Madison Bumgarner and Jason Heyward in particular), but literature from 2007 supports his selection at 6th overall. After Detwiler, the nats spent their two supplimental first round picks on high school raw talents (as was Bowden’s custom), neither of which ever panned out (Josh Smoker and Michael Burgess). This draft turned into one of the more productive in Nat history, with at least four current major leaguers picked (along with Detwiler, Stephen Souza, Derek Norris and especially 2nd round pick Jordan Zimmermann, so it is unfair to focus on the misses out of 2007. This was easily Bowden’s best draft while in charge in Washington. 2008: The year of Aaron Crow. Crow had a strong summer and a strong spring and was the 2nd best college arm in the draft, no question. There was apparently antagonism between Bowden and Crow’s agents from the moment that he was drafted, and the negotiations between the sides never really came together. The signing deadline came and went with no signature, and Crow went to Indy ball before getting picked the following summer. There was talk about how the Crow non-signing was purposeful; the Nats spent significantly less money in the draft in 2008 than they had in 2007 and the ownership group was still being labeled as “cheap.” Either way, this lack of signing was one more bullet in the ammunition guns of opinion makers in the industry about the state of the Nationals organization under the leadership of Bowden. This would serve to be his last draft; he was embroiled in the bonus scandal over the off-season and relinquished his job ahead of the 2009 season. 2009: We all are quite familiar with the story by now; Stephen Strasburg was a laconic out-of-shape hurler in high school who barely merited a college spot, then re-made himself into the “greatest pitching prospect of all time” while at San Diego State. Despite his reported bonus demands (he ended up with more than $15M deal) and his representation (Scott Boras), the Nats never seriously considered not selecting him with the first overall pick. For me the big question was who the Nats were going to take at #10. I wanted another starter, and there were some significant college pitchers projected to be available at #9. Kyle Gibson, Alex White, Tyler Maztek, Chad Jenkins and Tanner Scheppers were all left on the board to draft a Stanford reliever in Drew Storen. Keith Law had Storen ranked as his 28th prospect, a guy who was clearly “good” but who was over-drafted by nearly 20 spots. This had “signability pick” written all over it, a thought that was even more proven when the team drafted college senior Trevor Holder with their 3rd pick and signed him for 1/2 of slot. Holder wasn’t even his team’s friday starter and had a 4.48 ERA. So, the team got Strasburg and paid him significant money, and the 2008 draft misstep turned into an effective closer in Storen, so the draft wasn’t a disaster, but with a bit more money allocated (remember, this was the same year they were paying Guzman $8M to be a mediocre shortstop) the team really could have hit it out of the park. 2010: After another 100+ loss season, the Nats were fortunate to have another no-brainer, consensus #1 overall pick in Bryce Harper. But the real story of the 2010 draft was Mike Rizzo’s finally convincing the ownership group and Ted Lerner of the power of the over-slot pick. The Nationals gave Harper a 40-man deal and a lot of guaranteed money … but they also bought two high-end high school arms out of their college commitments for 1st-2nd round money (A.J. Cole and Robbie Ray). The Nats were quickly becoming a team that was ignoring the advice of the penurious commissioner Bud Selig, known for railing against teams and owners who ignored his “slot recommendations.” The Lerners tried to be friends with Selig and play by the rules, only to watch other teams out-spend and out-sign them. Remember this fact when we see the next CBA come out, assigning slot deals ahead of time and implementing draconian policies on teams that over-spend in the draft. 2011: The Nats were looking at a handful of players with their #6 pick; George Springer, Sonny Gray, Taylor Jungman, Jackie Bradley, and the like. 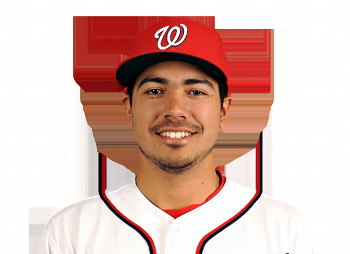 In a pretty shocking draft-day shake-up, teams passed on former college player of the year Anthony Rendon and suddenly he fell into the Nationals’ lap. The sliding of Rendon to the Nats was amazing; Rendon was considered a clear consensus 1-1 pick for nearly 2 seasons, and the pro track record of BA college players of the year is pretty solid. The Nats had two extra first rounders (compensation for type-A FA Adam Dunn) and the selection of Alex Meyer with the #17 overall pick was a given; some pundits had the Nats taking him at #6 overall, so much they were enthralled with the huge right hander from Kentucky. As with 2010, the team continued to write big checks to convince Brian Goodwin, Matt Purke and Kylin Turnbull to leave school early. The Purke pick in particular showed that the Nats were willing to spend money to get big-time players and were willing to risk the dice on injury concerns. The Nats had no 2nd rounder (lost as compensation for Adam LaRoche but with three 1st/supp-1st rounders got plenty of cracks at top-end talent. 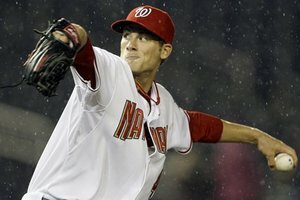 2012: The Nats had a mid-draft pick after their .500 record in 2011 and were focusing on arms. 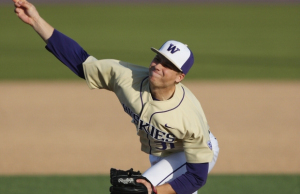 By now, Rizzo’s drafting mentality has been made evident; he focuses on college players, and more specifically college arms, unless an outlier falls into his lap. Well, the definition of a draft-day outlier fell into the Nats lap in 2012 when Lucas Giolito, a big-time prep prospect who was under consideration of being the first ever high school right handed pitcher to go 1st overall early in the process. Giolito’s size, power and secondary offerings were the makings of a 1-1 pick, but his senior prep season was derailed by what was initially called an “elbow strain” but which turned out to really be a “small elbow ligament tear.” Nonetheless, the Nats grabbed him, signed him for over-slot money (nearly $3M), and they had their man. Years later, Rizzo revealed that the next guy on their draft board was St. Louis sensation Michael Wacha … a “what if” question for this team that may be asked for quite a while, given Wacha’s quick rise and overall dominance at such a young age. The rest of the Nats draft class was entirely about saving dollars to over-pay Giolito and buy him out of his college committment (as is seen by the bonus figures and senior draftees for the rest of the first 10 rounds), and we’re already seeing the after-effects of this strategy; the team has already released 10 of its 2012 draft class after just two pro seasons, and outside of Giolito its hard to see any potential impact players out of the entire class. The Nats may get a couple of RHP bullpen arms, but little else. 2013: The team knew it didn’t have a first rounder thanks to its signing of Rafael Soriano (though to be honest, knowing that they were picking last thanks to their MLB-best record in 2012, they probably weren’t as reticent about losing that pick), and the new CBA had taken affect, meaning that the team had a very limited budget for signing players. Their first pick wasn’t until the end of the second round, and they went with a big power college arm in Jake Johansen. It was impossible to predict who would be available to the Nats at the 68th pick (their first pick), so the Nats draft philosophy seemed to revert to default; lots of college players, lots of college arms. Of their first 15 selected players, just one prep player was selected (Drew Ward) and a number of their guys signed for significantly under-slot to pay Ward and a couple of other players. 2014: After a disappointing 2013 season, the team kept its first round pick in a draft that seems deep on college arms but thin in other areas (especially college hitters). The Nats farm system, after years of drafting predominantly college arms for the past few drafts, has plenty of arms but is thin on hitters, leading some pundits to presume the Nats are looking at college bats. But a couple of late spring elbow injuries on significant names (James Hoffman and Erick Fedde) also has other pundits thinking that the Nats will have no concerns about taking a pitcher who is known to need Tommy John surgery (given their handling of the likes of Strasburg, Solis, Zimmermann and their picking of Giolito in 2012). Mock drafts frequently have the Nats selecting Fedde at #18. And indeed that is who the Nats select. A run on high-end college arms just prior to the Nats pick probably sealed their fate on taking Fedde. They take a good balance of pitchers and hitters in the top 10 rounds, almost entirely out of the college ranks (as is their custom). Like 2013 and 2012, they gambled on one prep player in the top 10 (this year Jakson Reetz) and bought a high-end prep prospect out of his college committment, but otherwise stayed the course drafting college players. B-R.com’s Draft database of players. Age Appropriateness by minor league level is a topic I come back to year after year. Click here for this analysis in 2011, and then here for the same analysis for 2013 (I must have been really busy in April of 2012 to have missed out on such fun analysis). I won’t repeat a ton of the build-up to this topic; see last year’s post for a ton of rule-of-thumb discussions and what not. Basically the point of this post is to talk about the average/median ages of pitchers in the various full season minor league levels, then take a look at our four full-season affiliate rosters to see how our guys rank. I’m very much of the belief that age matters in prospects, and that it should be taken into consideration when looking at a guy’s performance. Data Taxonomy: I’ve taken every pitcher on every team’s roster in each of the four leagues that the Nats have farm teams in (AAA = International, AA = Eastern, High-A = Carolina, Low-A = South Atlantic), put them into a spreadsheet, calculated their ages at the end of this season (9/1/14) and then calculated the four quartile figures in terms of age. I only used pitchers in our leagues as opposed to the entire level across all of baseball thinking that different leagues may have different needs (I’m thinking how the California League and the Pacific Coast League has so many hitters parks and thus the pitchers may linger there longer, skewing the numbers). I also standardized the numbers to be at the end of the season as opposed to the beginning, so that people can talk about a player’s “Age 25 season” for example. I’ve labeled the four quartiles as follows: “Really Young” means the lowest quartile or youngest 25% of players, “Young” means the 2nd quartile or 25-50%, “Old” means the 3rd quartile or 50-75% range, and “Really Old” means anyone in the 75th quartile or above for the league. (Click here for the whole worksheet of player data I used to do this post on Google Docs). AAA’s median age has risen from 2011, but 2014’s teams are getting slightly younger; all these threshold ages are slightly below 2013’s numbers. Low A seems about the same; its median age is identical to last year’s. Here’s a look at the Nationals’ four full season minor league pitching staffs, with the ages listed and the “age appropriate” label given. All rosters are as of 4/18/14. Discussion: Even by AAA standards as a “spare parts” league, our AAA squad is pretty old. We have four guys in their 30s, only one of which is on our 40-man roster (Ryan Mattheus). Our youngest guy in AAA may also be the most surprising pitcher to make this squad; Taylor Hill. This squad will just get older once Michael Gonzalez makes his way to upstate New York (which has already happened inbetween the time of this data capture and the time of this post). Oldest Guy in the International League: Fairfax’s own Shawn Camp, a 10 year MLB veteran who signed on with Philly as a MLFA last off-season and looks like he may be back and forth between Lehigh Valley and Philadelphia all year. Also amongst the old crowd in the International league are interesting names from the past, including Johan Santana, and a few former Nats in Luis Ayala, Chien-Ming Wang and Yunesky Maya (who signed on with Atlanta for 2014). Youngest Guy in the International League: Former Nat Robbie Ray, who will not turn 23 until after season’s end. Side note on Ray: i was listening to a Jonah Keri podcast where a guest was openly questioning the Doug Fister trade, now that Fister’s out with an injury and Ray’s fast tracking his way to a very early majors appointment. Nothing nefarious suggested (as in, the Tigers knew that Fister was damaged goods), but he also said he was at about a “0%” surprise factor when Fister got hurt this spring. Interesting. A couple of other very young guys in this league include some big-time pitching prospects: Marcus Strohman for Toronto, Trevor Bauer for Cleveland and Kevin Gausman for Baltimore. Percentage of International League pitchers on MLB 40-man rosters: 36.95%, quite a bit higher than last year. Four of Syracuse’ 15 pitchers are on the 40-man and two of them (Aaron Barrett and Xavier Cedeno) have already made the trips up and back to and from the majors this month. Of course, the Nats have already shuffled around these two and Blake Treinen quite a bit and its just a few weeks into the season. Discussion: As with Syracuse, our Harrisburg squad is very old; 12 of the 17 pitchers on the squad are above the median age for the league, and 6 of them are in the oldest quartile. Our three youngest hurlers are (arguably) our three most important arms in AA: A.J. Cole, Felipe Rivero and Matt Purke (with apologies to Sammy Solis, who lists as an “older” guy thanks to his losing a year to TJ surgery). It seems to me like Harrisburg is populated with hangers-on; that the bullpen is filled with org arms. Oldest Guy in the Eastern League: Minnesota’s Matt Guerrier, who was traded in the final year of his contract last summer but couldn’t find a 40-man job and signed back on with the team he spent the early part of his career with. His placement in AA was temporary; he’s already back with AAA. Ironically the 2nd oldest player in the Eastern league is also on Minnesota’s team: Virgil Vasquez, who is in his 12th pro season with just a handful of major league appearances over that time and who came back into affiliated ball after two seasons of indy league. Youngest Guy in the Eastern League: San Francisco’s Adalberto Mejia, a lefty starter prospect who jumped straight from the DSL to low-A and has climbed steadily since. Interestingly, the six youngest players in the league all play for either the San Francisco or Baltimore franchises, including Zach Davies and Dylan Bundy for Bowie. Percentage of Eastern League pitchers on MLB 40-man rosters: just 5.33% (9 of 169), down from last year’s 8.24%. Interestingly 3 of those total of 9 are Nats farmhands, including one of the last remnants of the now-extinct draft-day MLB deal in Purke. Discussion: Do you sense a trend? Five of Potomac’s 13 arms are “Really Old” for the league. Thankfully four of our 5 starters here are “young” for the league right now. The only exception is Brett Mooneyham, who is now “really old” for high-A and yet is still scuffling along. Oldest Guy in the Carolina League: Baltimore’s Eunchul Choi, a 30-yr old South Korean pitcher who Baltimore signed as a MLFA three off-seasons ago and who apparently has yet to throw a professional inning. Youngest Guy in the Carolina League: Atlanta’s Lucas Sims, who (no surprise) was the youngest player in the South Atlantic league when we did this analysis last year. All he did in 2013 was go 12-4 with 134 K’s in 116 innings as the youngest guy in the league. It looks like Atlanta may have yet another young, big-time arm in its rotation in a couple of years. Percentage of Carolina League pitchers on MLB 40-man rosters: 0%. Now that teams are prevented from signing draftees to MLB deals, the odds of ever seeing a non-rehabbing 40-man player below AA seem to be slim. Discussion: Hagerstown’s squad isn’t quite as “old” as I thought it’d be, thanks to a couple of really young starters being on the squad (Lucas Giolito and Nick Pivetta). But, the team also has two of the 10 oldest players in the league in Dixon Anderson and Kylin Turnbull. Anderson can be excused somewhat, since he lost time to injury, but he also is repeating low-A and should have been on Potomac’s squad (in this humble opinion). Maybe he will be soon thanks to the spate of injuries in Potomac. Meanwhile Turnbull looks like he may be a draft bust; he hasn’t been able to perform above low-A despite his draft-day pedigree. Oldest Guy in the South Atlantic League: New York’s Conor Mullee, who hails from Ashburn, attended Broad Run HS and was plucked out of a small college (St. Peters University). But interesting he was a hitter in college and then immediately switched to pitching. He blew out his arm and missed all of 2011 after TJ surgery … then missed all of 2013 as well. He currently sits on Charleston’s 7-day D/L as the oldest guy in the league by 6 months. Youngest Guy in the South Atlantic League: Texas’ Akeem Bostick, a 2nd round pick in 2013 out of a South Carolina high school who more than held his own in the Arizona rookie league. Also amongst the youngsters in the Sally league are Baltimore’s big-time prospect Hunter Harvey and our own Giolito. Percentage of South Atlantic League pitchers on MLB 40-man rosters: 0%. I think its safe to say that the Nats draft strategy of focusing primarily on college-age arms is starting to be seen; our pitching squads are filled with “older” guys. But interestingly these older arms seem to mostly be in the bullpens, while our starting corps are by and large filled with “younger” arms relative to their league-wide colleagues.